It’s a new year, and soon it is going to be time to file your tax returns. If you aren’t certain about posting your estimated taxes for 2015, this information could help. It’s not just self-employed individuals who are required by the IRS to pay estimated taxes. There are numerous advantages to being self-employed. The top benefit that most full-time, must-report-to-the-office employees most envy the most is your ability to establish your own work schedule. You don’t have the commuting expenses, nor the hassle. No endless meetings with co-workers, and no dealing with office politics. Self-employment has one major disadvantage, though: the self-employment tax. One of the benefits of being a W-2 employee of a company is, well, the W-2, which documents how much you paid into Social Security, as well as the big chunk your employer kicked in. But estimated taxes are not just for the self-employed. They’re owed by anyone who has at least some income that isn’t subject to withholding by an employer. For example, if you receive interest or dividends, rent, or income from selling an asset, you are required to pay estimated taxes. Figure 1: The IRS establishes a payment schedule for your estimated tax payments. In addition, if you’re not deducting enough income tax deducted from your salary, pension, or other income, you’re obligated to send the IRS a payment four times a year. This is why it’s so important that you enter the correct number of allowances on your W-4 (and even add an additional amount if necessary), and that you track all income. Failure to submit enough income tax dollars prior to filing your 1040 – and by the IRS’ scheduled deadlines — will result in penalties, even if the IRS owes you a refund. The form you use to submit your estimated tax payments depends on what type of business entity you are. If you are a sole proprietor, partner, S corporation shareholder, and/or a self-employed individual, you’ll need to make quarterly estimated payments if you think you will owe $1,000 or more (after you subtract withholding and refundable credits) or more come filing time. 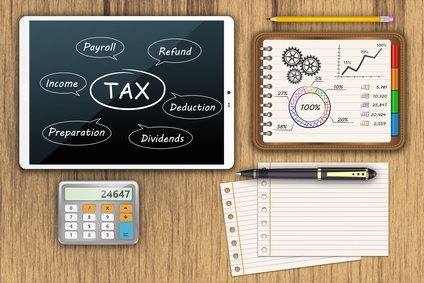 You would use the Form 1040-ES (Estimated Tax for Individuals) to calculate and pay. Corporations should use the Form 1120-W (Estimated Tax for Corporations) if they expect to owe $500 or more when they file. If you are sending a check or money order, you can fill out and print the vouchers included at the end of Form 1040-ES on the IRS site. Figure 2: If you are sending a check or money order to make estimated payments, you can use these. There are multiple ways to pay estimated taxes electronically, either by credit or debit card, or by withdrawal from a bank account. They’re listed here, and they include EFTPS (the Electronic Federal Tax Payment System), a free service provided by the U.S. Department of the Treasury. There are some individuals and businesses to whom these mandates don’t apply. Farmers and fishermen, as well as some household employers and higher-income taxpayers have different rules that are explained in the Form 1040-ES instructions. You had zero tax liability for the full 12 months of the previous year. That’s the tricky part, especially if you are self-employed or for some other reason don’t know for a fact how much you’ll owe in income tax for the current year. You can use the previous year’s return as a guide, but there have, of course, been tax code changes since then. And your income and deductions may well be different this year.voucher forms found on the 1040-ES page. This is really an area where you should sit down with us and make a plan. This might involve running monthly or quarterly reports, creating projections, etc. These are good habits, especially if your income is unpredictable. Year-round tax planning will not only help you make those quarterly payments – it will provide a clearer view of your company’s overall financial health. Any Tax Tips posted here are for informational purposes only. They are not a substitute for legal, accounting, tax, investment or other professional advice. Always consult with your trusted accounting advisor before acting upon any Tax Tip. Who among us does not know of a CPA or Tax Accountant whom you never see from December to April 16th? In our firm many of us have families and during Tax Season it is extremely difficult to carve out the kind of family time we would normally have the remainder of the year. From Accounting Today, a post written by CARL ALLEGRETTI hit a nerve with me. Not all of you reading this will be accountants, but man or woman, Mom or Dad, we all have those times when work gets busy and it is difficult to balance the demands of work and the time we need with our families and children. “1. Set thoughtful priorities: As busy season comes around, your time becomes more and more precious as client work increases and deadlines need to be met. With all the demands on your time, something has to give. Focus on setting thoughtful priorities—both at work and in your personal life. To find the right balance, I look closely at what my top priorities are in and out of the office. For me, family comes first. In order to find the time to coach and attend my sons’ sporting events, I stopped playing golf because I couldn’t justify the amount of time on the course. 2. Plan ahead: Many of us are great at planning when it comes to work. We have a laid out plan for all the things we want to get done. This approach becomes all the more important during busy season. Don’t forget to also plan for personal time, which isn’t always easy given your professional demands. With careful planning, anything is possible—and that includes using your vacation time before and after peak periods of work. Like an elite athlete, we all must rest, recuperate and reenergize during the year. I found that when I acknowledged that my personal life was as big a priority to me as my career, it became much easier to effectively plan my life outside the office. I now schedule my calendar up to a year in advance to make sure my personal and professional priorities are locked in. Take the time to make a plan for your busy time. Don’t forget to carve out some time for your family and yourself no matter how busy things get. Forbes Offers 5 Ways to Avoid IRS Audit. 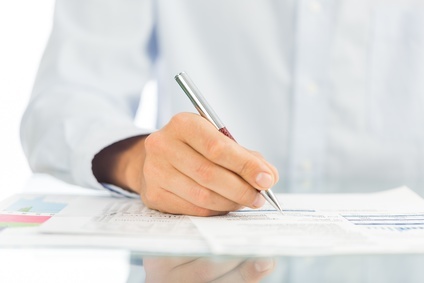 A recent Forbes article by Robert W. Wood offers these 5 ways to “audit proof” your tax return. 1. Don’t claim flaky deductions. A wise man once said “Any one may so arrange his affairs that his taxes shall be as low as possible; he is not bound to choose that pattern which will best pay the Treasury; there is not even a patriotic duty to increase one’s taxes.” Helvering v. Gregory, 69 F.2d 809, 810 (2d Cir. 1934). 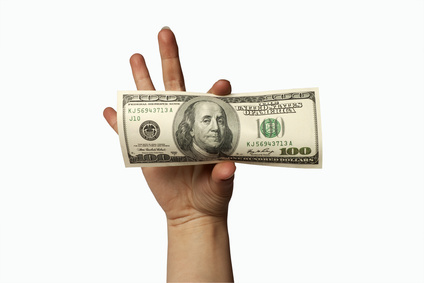 Even so, thre are limits to what the IRS will buy when it comes to deductions. 2. Use a pro, or use software. We at DiSalvo and Company heartily agree. At least let a software guide you through the process to make sure you are asking all the right questions. Forbes suggests you use one of the majors, such as Intuit’s Turbotax or H&R Block’s Taxcut. We will say that from time to time someones asks us to have a look at the return that was prepared by a software program. Just last week we found an oversight that let to our client receiving almost 10,000 back in additional refunds over the last few years. In light of that, our advice would lean toward using the pro. If you report a transaction that you feel needs an explanation to be clear. Forbes advises not to include lots of supporting documentation unless asked. More than one taxpayer has provided the IRS with documentation which raised more questions than it answered. They have ended up being hoisted on their own petard. 5. Account for every 1099 you receive. 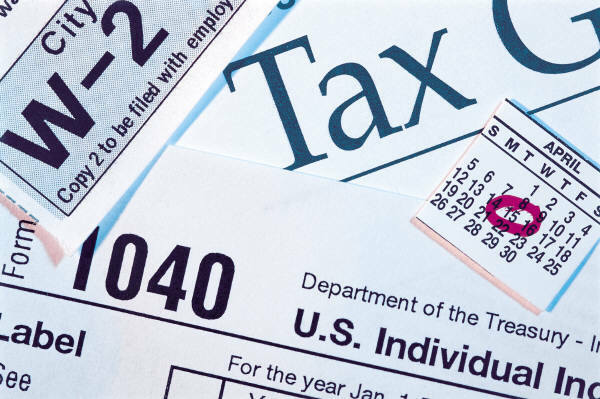 You receive IRS form 1099 for income you receive from someone for whom you are not considered an employee. This may be work that you have done on a consulting basis. Forbes advice makes sense. Whoever sends you a 1099, also sends a matching copy to the IRS. 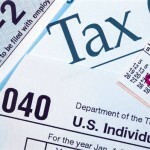 The IRS will certainly match up the 1099s reported on your return with the 1099’s they received for your tax id. The same holds true for 1098 forms that lenders use to report interest paid. In the final paragraph of the Forbes piece, they remind you that no matter how careful you are with your returns, there is a chance that someday you will have an appointment with the IRS, so be prepared. Keep your returns and all of your written documentation to back up your deductions. 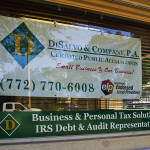 If you are ever called to sit with the IRS, consider having one or the experts at DiSalvo and Company, represent you. 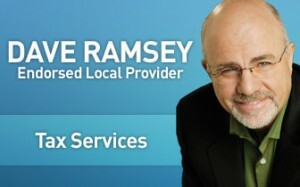 We have a strong track record of achieving favorable results for clients who have a dispute with the IRS. Even if we did not prepare your original return, our knowledge of the process can often keep an inconvenient event from becoming a major financial setback for you, and your family. 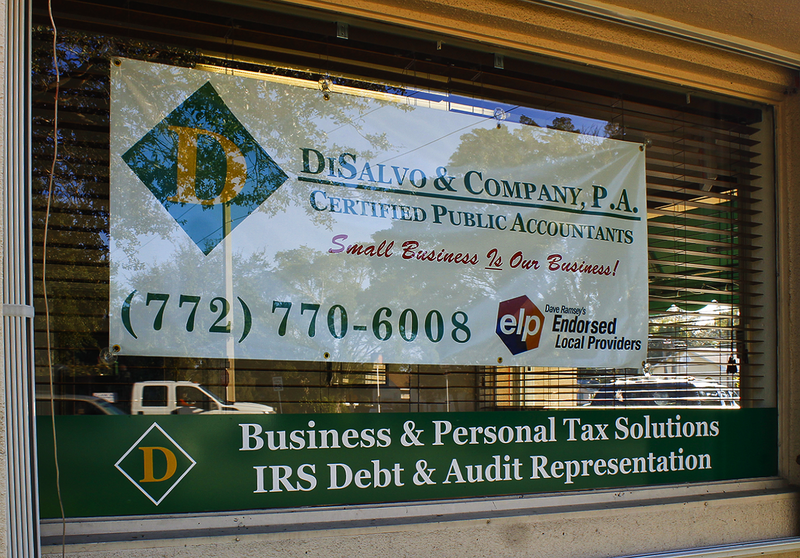 DiSalvo and Company specializes in the accounting needs of individuals and small business in central Florida. We offer all types of accounting services including, Quickbooks set-up and training, bookkeeping, payroll services, tax planning and preparation, financial auditing, representation before the IRS, business consulting, business advisory services, forensic accounting, estate planning. 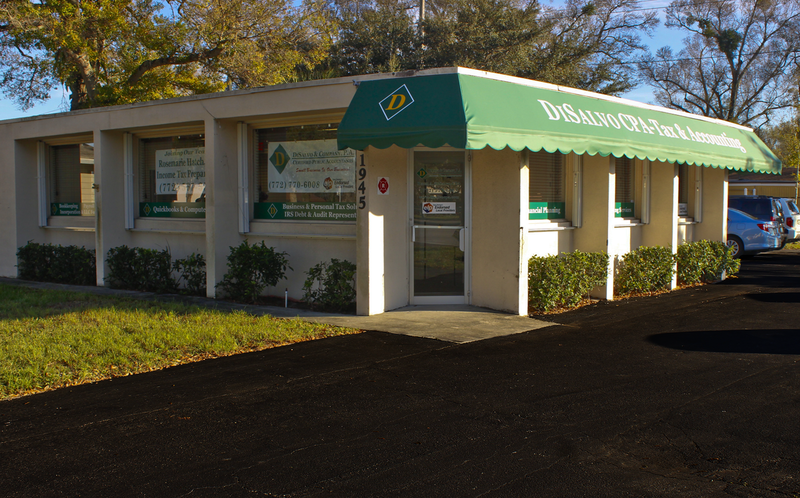 In addition to our new Vero Beach location, DiSalvo & Co. maintains offices in Titusville, and Melbourne, Florida for your convenience. We encourage you to call us to arrange a visit to our new space for a free consultation to see if we can help your business expand in Vero Beach. 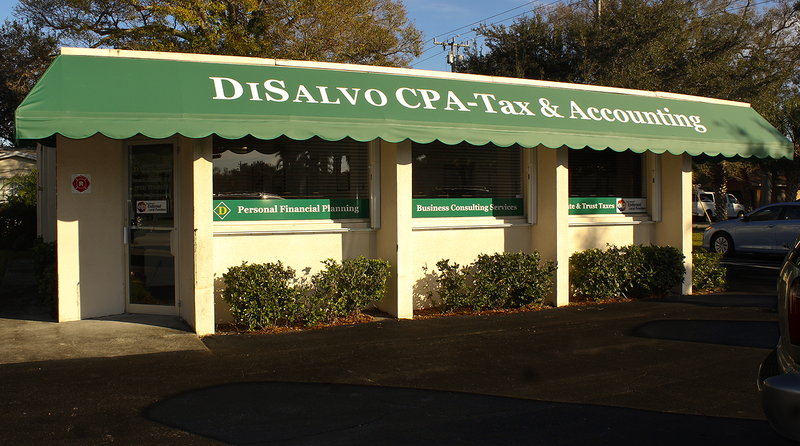 We are pleased to announce that Vero Beach CPA DiSalvo & Company, has completed our relocation to a spacious new headquarters at 1945 20th Street Vero Beach, FL 32960. 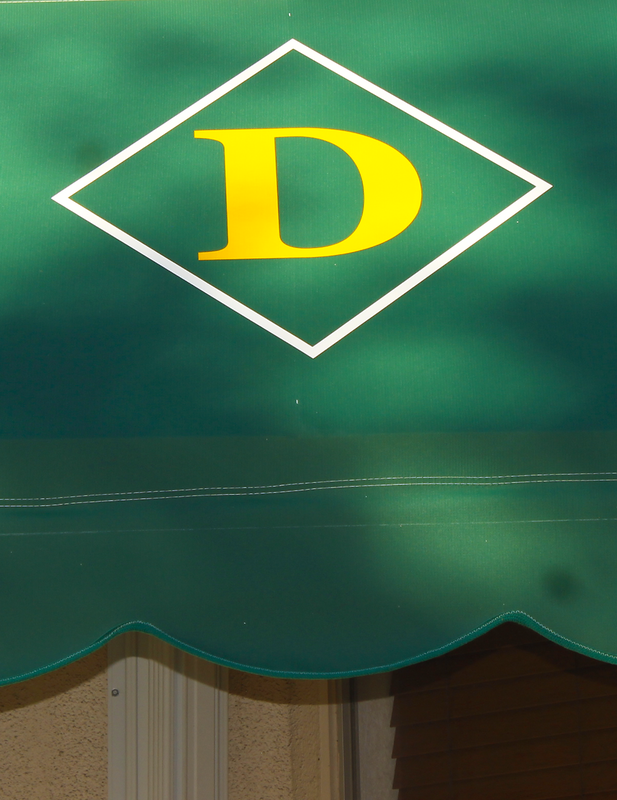 This new space allows DiSalvo & Company more room to grow the best team to serve our clients better than ever. Along with the expansion, Peter DiSalvo is happy to announce that Rosemarie Hatch has agreed to join the team. 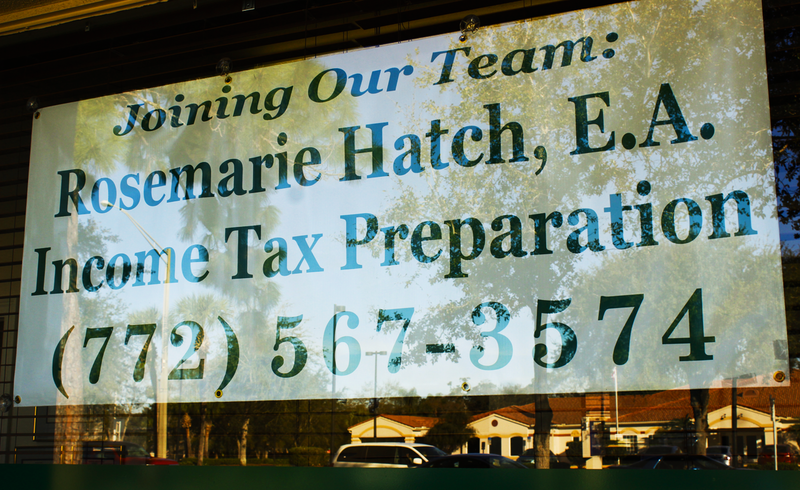 Rosemarie specializes in tax preparation and is designated as an “enrolled agent” to practice before the IRS. 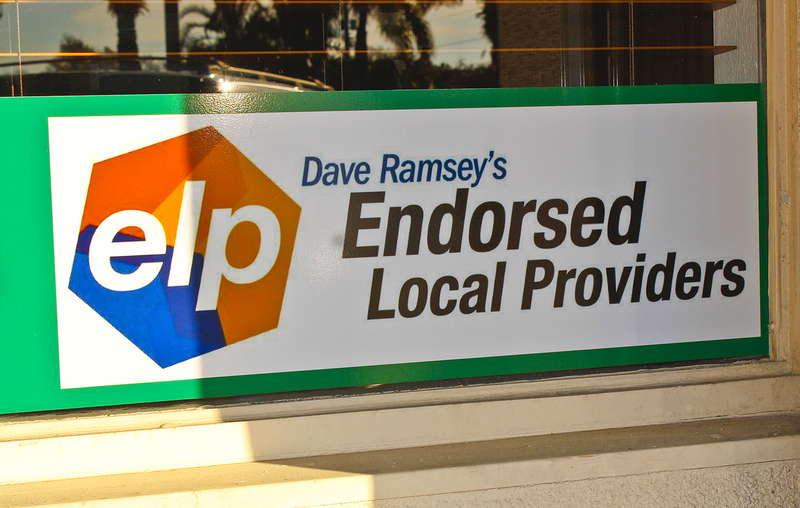 Rosemarie has been serving individuals and business owners in Vero Beach for years. We are excited that Rosemarie has joined our team at DiSalvo & Co., Certified Public Accountants. Do You Have a Date With the IRS? 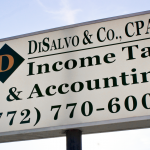 At DiSalvo & Company, P.A., a Vero Beach CPA firm, we are happy to keep that date for you. We specialize in working with you to solve your tax problems and negotiate with the IRS, on your behalf, the lowest possible tax debt settlement allowed by law. We’ll talk directly with the IRS for you, and negotiate on your behalf. We speak their language, and we understand their rules. Ignoring IRS problems won’t help, and can make things worse. If you owe taxes the IRS may garnish your wages, your pension, your savings, your property, or even your social security checks. Don’t let it get out of hand. Don’t ignore the IRS, or face them by yourself. We can help. 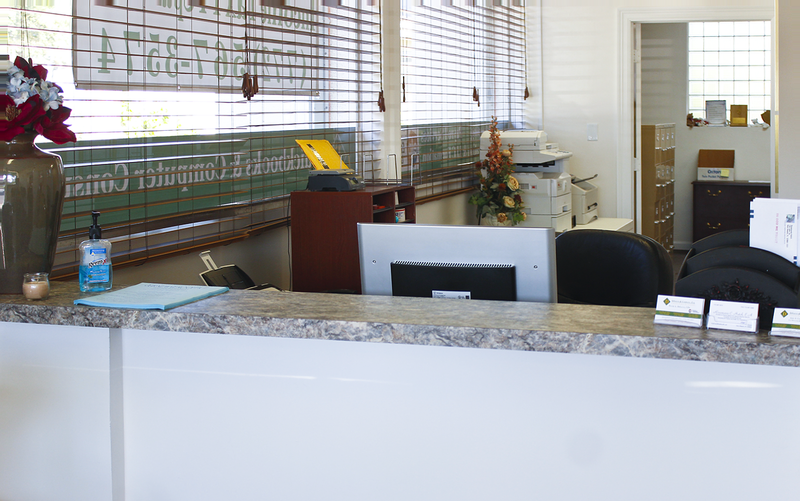 Email or call us today at 772-770-6008 to discuss your business needs with an experienced CPA. 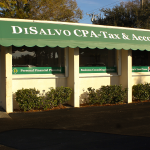 For your convenience, DiSalvo & Company, CPA has offices in Vero Beach, Titusville, and Melbourne, Florida. As we near our annual “tax season” it is a good time to pause for a moment and examine your plan. A certain percentage of American citizens are selected for a tax audit by the IRS each year no matter what. What if it happens to you? 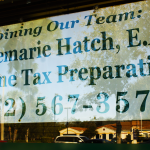 Are you comfortable that the person you are planning to have prepare your tax return is the right person to face off against the IRS with you? Are you planning to do your own taxes, maybe with the help of some do it yourself software from a big box store? I don’t think you want “the Geek Squad” helping you navigate a tax audit, do you? Imagine then for a second, staring down the IRS auditor all by yourself. Here is some words from folks who are glad they did not to do it themselves when they sat across from the IRS not long ago. Now is the time to examine your plan for taking care of this unavoidable chore that comes with being an American citizen in 2014. Now is the time to give the tax experts at Peter DiSalvo & Company,CPA a call to see if there is a better plan. Many of Peter’s clients find that for not much more than the cost of the do it yourself software, they can have the security, and peace of mind that comes when DiSalvo & Company takes care of this chore for you. 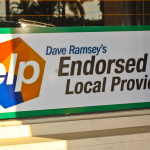 Call Peter DiSalvo & Company now at 772 770 6008 and arrange a better plan for 2014. 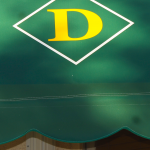 DiSalvo And Company, P.A. is a CPA firm with offices in Vero Beach, Melbourne and Titusville. 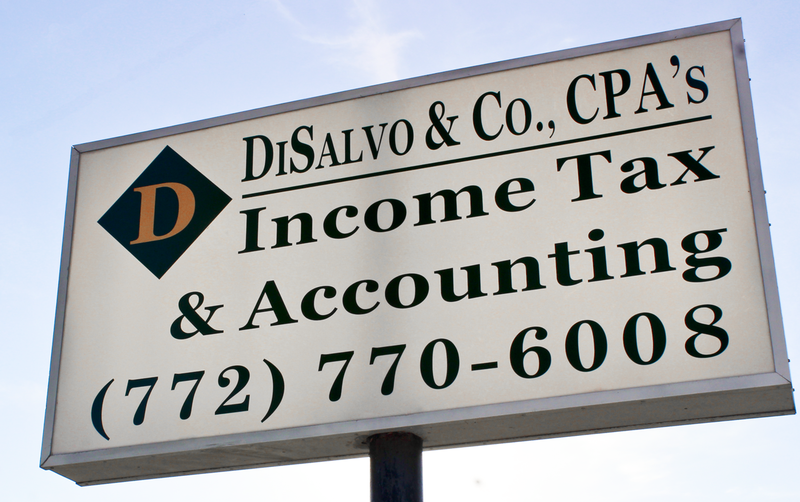 DiSalvo and Company is committed to meeting the accounting and tax planning needs of small business and individuals throughout the Space Coast and Treasure Coast, with clients in Brevard County, Indian River County, St. Lucie County, and Martin County.